This email is a notice for the membership level ratings. It has no relations with Newsletter subscription settings and will be sent regardless. â€»You can download the coupons only in this month. 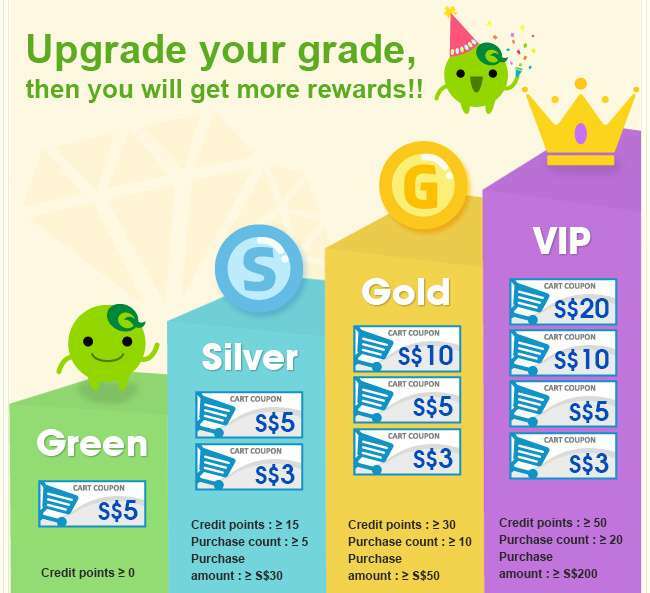 - We determine your grade using the credit points until last month, and purchase count and amount within 3 months. - If there are too many order cancels or return items, you may not get VIP grade. - You can gain 1 credit point by completing 1 purchase, but will lose points by cancelling or refunding orders. For questions about an order, other questions or comments, please use Customer Service or Click Go Help. Next: [HipVan] 15% OFF hourly deals on the HipVan app this 11.11!